Bring the feeling of standing by the ocean or near a waterfall right into your own home. 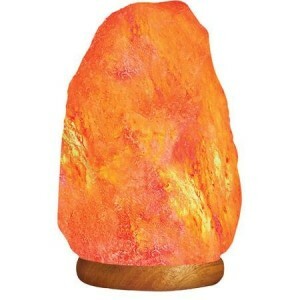 Himalayan salt lamps are the natural way to produce the ‘feel-good’ negative ions we enjoy at the beach or in a forest. 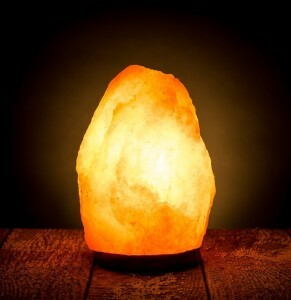 Head over to our blog to have a read up on the benefits of Himalayan salt lamps and the role air ionizers can play in our life. This natural Himalayan salt lamp from HemingWeigh is in the classic ‘hand-chipped’ style that is synonymous with Himalayan salt lamps. We absolutely love this style. The random shape adds an extra unique dimension to what is already a truly unique salt crystal. On top of all that, the random chipping means that the surface area of the lamp is greater than a ‘smoothed’ lamp, meaning it has a greater area to emit negative ions from.